OK, that’s an awfully fancy-sounding word for a blog dedicated to living simply, I know, but the focus on “dining” today is part of the ongoing process of rethinking spaces in our house and trying to clear and polish them enough to show off their particular purpose and utility. 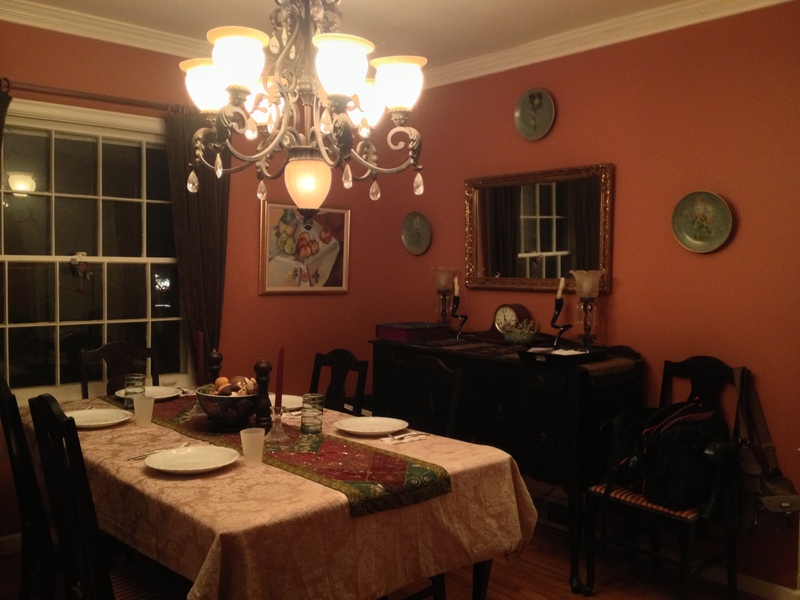 So today’s challenge: the dining room, which for the longest time has served primarily as the landing pad for our house, since it is the first room we enter when coming in the front door. We do have an office of sorts upstairs–another space needing a major overhaul–but the dining room table is just too convenient a place to pile up bills, and magazines (and catalogs of course!) along with school papers, and book bags, and lunch boxes, and so on. So today (yes, another snow day) I cleared out the entire room of anything that didn’t help declare this room as a place for eating. OK, I did leave a small container to hold bills, and there’s a glass bowl on the table by the door leading outside for car keys, and a chair for a briefcase or a book bag–but other than that, I removed all the unnecessary clutter from this room and tried to return it to its use as a place for gathering around a meal. I definitely felt we were more present for the meal, that’s for sure. And the burritos tasted especially yummy. 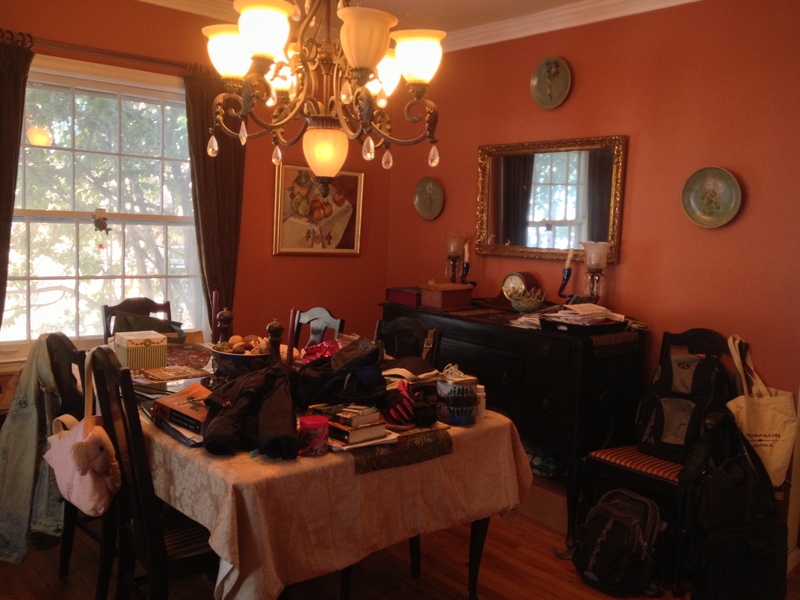 This entry was posted in Uncategorized and tagged chaos, clutter, family, food, home, organization, simplify. Bookmark the permalink. That’s funny! And sounds like a good idea too! Glad you left climbing on time to make that happen. Good prioritization! You know how hectic weeknights can get! Making the time–and space–for a family meal (even burritos) is always a good idea. Oh, and guess who has another “snow” day!